This entry is part 1 of 3 in the series Best Trips from Belgium. Want holiday inspiration for a long-weekend away? In our 3-part series, we’re sharing our favourite trips from Belgium. First up – our favourite road-trip getaways. 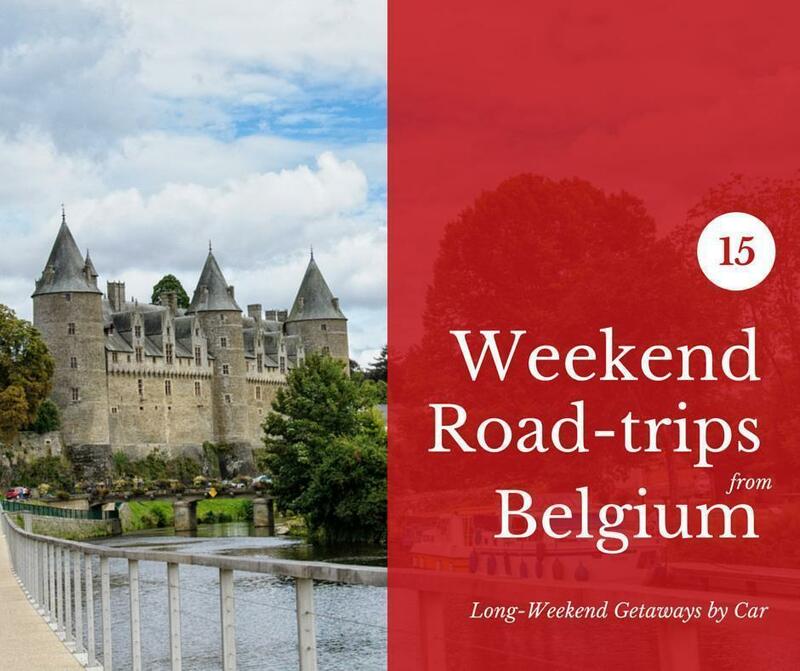 As much as we love exploring Belgium’s nooks and crannies, there’s no denying, one of the best things about little Belgium is how easy it is to travel from it. Take a two-hour drive from Brussels in any direction and you’re in another country (or the sea). There are high-speed train connections to France, Germany, England, and the Netherlands. Then there are the short and often cheap flights taking you to any major destination in Europe. Frankly, Belgium is a travel junkie’s dream. In fact, often the hardest part is deciding where in Europe to go. In our ten years in Belgium, we’ve had many fun weekend escapes. Some, we planned for months. Others, we planned the night before. (One was even an accident.) We’ve written about most of them over the years, but we wanted to create one big resource with our favourite weekend getaways. The post became so long, we decided to split it up by means of transportation, so over the next three weeks, we’ll share the series. The next time you can’t decide what to do on the weekend, we hope you’ll find this list inspirational. First up – the road trip! We LOVE a good road trip (which is a good thing, considering what’s happening in two months). We will drive much farther for a weekend trip than most normal humans (Avignon and South Tyrol come to mind). However, in this list, I’ve only added destinations sane people would drive in a long weekend. Of course, for most of these destinations, you could also fly or hop on a train, if you prefer. Lille is a fantastic city, especially for foodies, and it is so close. In fact, if you are really pressed for time, you could make a day-trip of it. We think you’ll need more time to explore this pretty, northern French city, though. Don’t miss: the foodie scene including the fantastic farmer’s market or the La Piscine Museum in a nearby suburb. There’s more to Nord-Pas-de-Calais than just Lille though, as we learned when we ended up there by accident last spring. We discovered stunning art, peaceful nature, great food, UNESCO listed historic sites, and even roman ruins. The best part – it’s all just a few hours from Brussels. 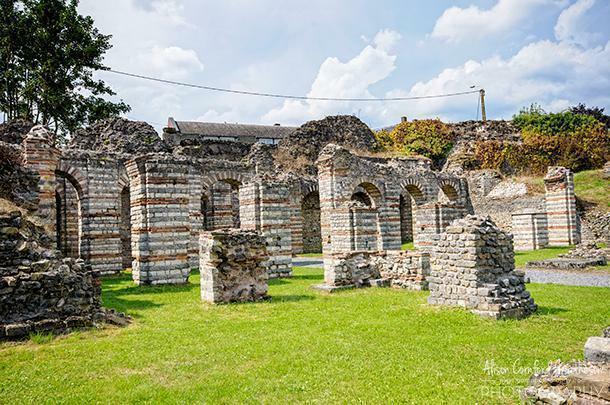 Don’t miss: The Roman ruins at Bavay and the Abbaye de Vaucelles. The stunning Opal Coast is also part of Nord-Pas-de-Calais. Here you’ll find plenty of coastal hiking and biking trails, as well as the historic centre of Boulogne-Sur-Mer. At Boulogne’s harbour, you’ll find the fascinating NAUSICAA Aquarium, recognised by UNESCO. It’s well worth the trip in itself. Don’t miss: Spending a day at NAUSICAA and a luxurious stay and meal at the Hotel Chateau Cleary. We’ve barely dipped our toes into exploring Brittany but the little we’ve seen, we loved. The colourful towns with their timber-framed houses are picturesque and the Breton cuisine is exceptional. We based ourselves in Carnac on the Gulf of Morbihan and wished we had even more time there. 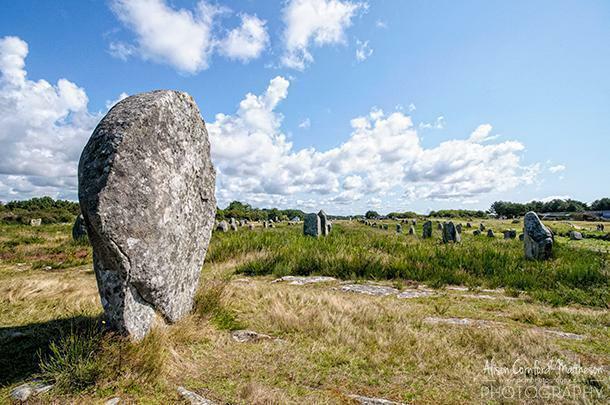 Don’t miss: The incredible Carnac Alignments standing stones from the Neolithic period and oysters fresh from the bay. Like Brittany, the rugged coasts of Normandy make a great weekend escape. Visit the majestic Mont-St-Michel or the dramatic cliffs of the Alabaster coast. Enjoy fresh seafood and plenty of French wine and cheese. 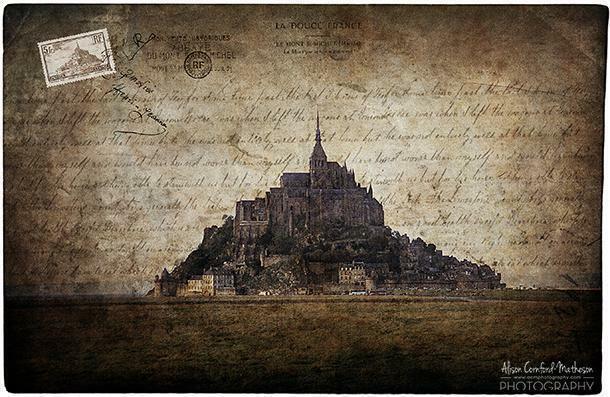 Don’t miss: Mont-St-Michel (just try to avoid high season) and the Benedictine Palace and Distillery. The bustling city of Strasbourg in Grand Est (formerly Alsace) is a great destination for a long weekend escape and is easily accessible by car or train from Brussels. It’s actually one of our favourite small cities in France. Strasbourg’s historic centre is listed by UNESCO and the stunning cathedral hosts a light show in the evenings. Alsatian cuisine is a tasty mix of French and German recipes and the city even hosts a cheese-themed restaurant! Don’t miss: A stroll through the UNESCO-listed centre and a ‘cheesy’ meal at La Cloche a Fromage. 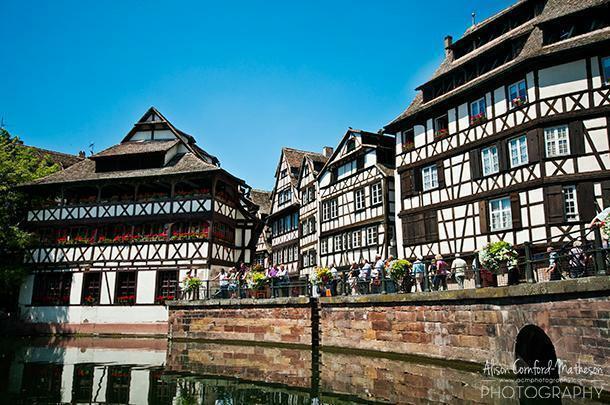 If you take your car to Strasbourg, it’s well worth exploring the area beyond the capital. 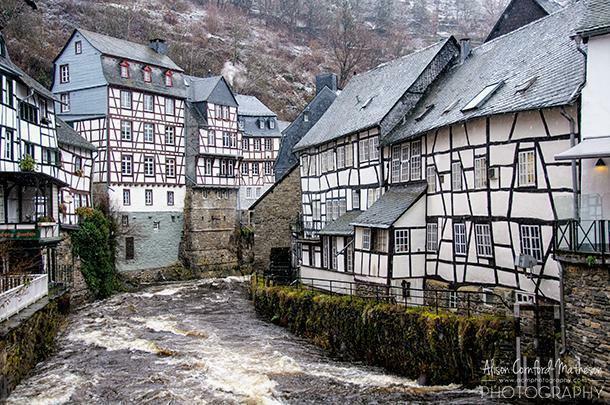 The Alsatian wine region winds through picturesque villages. One of our favourites is postcard pretty Colmar, with its colourful timber-framed houses and canals. Don’t miss: Dining canal-side in the ‘little Venice’ neighbourhood and driving the Alsace Wine Route. 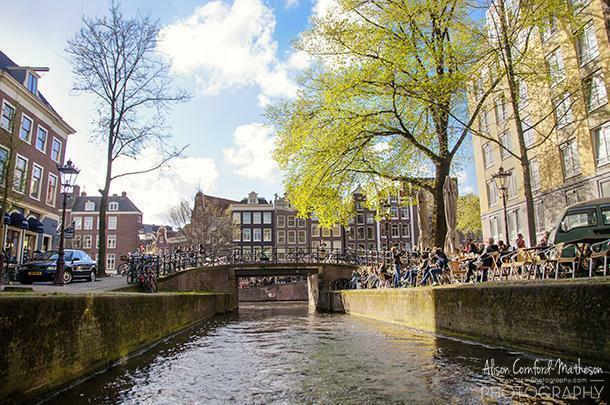 We can’t think of a better city to spend a long weekend in than Amsterdam, our first home in Europe. The friendly people, picturesque canals, excellent shopping, and world-class museums, make it one of the most exciting cities in Europe. Don’t miss: The newly restored Rijksmuseum and the best Mexican food in Europe. There’s so much more to The Netherlands beyond Amsterdam and any of the other Dutch cities are worth a long-weekend getaway. However, if you’re looking for a lesser-known destination, head to one of the pretty fishing villages like Urk or Volendam, or check out Holland’s ‘Venice of the north’ in Giethoorn. Don’t miss: The thatched houses of Giethoorn and exploring the Orchid Garden. While there’s plenty to do in Aachen, from museums to the dramatic cathedral, we’ll admit, we rarely venture beyond the outskirts of the city. That’s where you’ll find the Carolus Thermen Spa (and where you’ll find us relaxing). While the spa itself is an easy day-trip from Brussels, Aachen and the North Rhine-Westphalia region offer plenty for a weekend escape. Don’t miss: Carolus Spa (obviously) and the pretty village of Monchau. In the same region, you’ll also find Cologne, a great weekend destination in itself. The city boasts a spectacular Cathedral and a number of excellent museums. Christmastime is a particularly nice period to visit, as the square in front of the cathedral hosts one of Europe’s prettiest Christmas Markets. Don’t miss: Cologne Cathedral and the excellent photography museum steps from the main square. Although we were nervous the first time we drove to England, we needn’t have worried. Taking our car across the Chunnel was quick and easy (and booked in advance is affordable too). While driving into London isn’t advisable (in fact it could be considered madness) there are plenty of great English escapes best explored by car. We had a lovely day trip through the Cotswolds and wished we had more time to spend in the area. Combine this with a stay in Bath for a lovely long weekend. 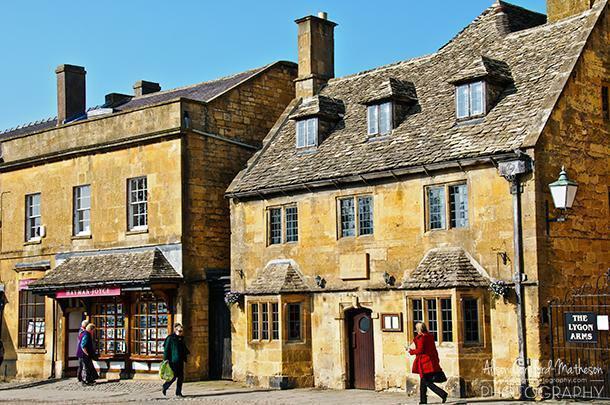 Don’t miss: Walking the streets of Broadway and admiring the Roman baths in Bath. On England’s south-west tip, the regions of Devon and Cornwall await. Rugged coasts and picturesque fishing villages line the edges while inland is all rolling hills filled with plenty of sheep. There’s plenty to see and do here, from world-class attractions to natural wonders. Find yourself a cosy B&B and get ready to explore. Don’t miss: The UNESCO listed Eden Project, an indoor garden paradise, and exploring the outdoor wonders of Dartmoor National Park. 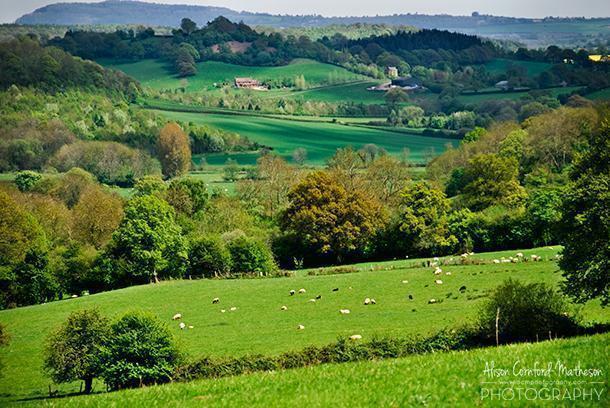 The rolling hills (and sheep) of Herefordshire, England. Imagine rolling green hills filled with sheep, quaint stone cottages, and villages filled with boutiques and gastro-pubs. If this sounds like the perfect weekend escape, book yourself onto the channel tunnel and head to the West Midlands of England. When friends of ours moved from southern France to Herefordshire, England, we thought they were nuts – until we visited. This area is stunningly beautiful and there is plenty to do, especially in the great outdoors. Foodies will find plenty here as well, including the local apple and pear ciders. Don’t miss: Staying at the cosy Holling Grange and feasting on spectacular meals in the restaurant. Don’t miss: Browsing for used books in a castle in Hay-on-Wye and lunch at one of the many gastro-pubs. Next week, we’ll share our favourite long-weekend escapes that are a bit further from Belgium, but still easily accessible by plane or train. 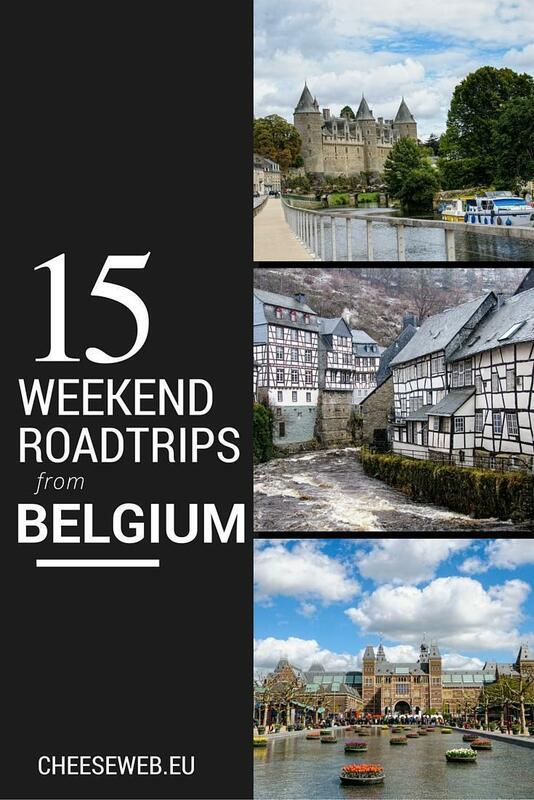 What’s your favourite road-trip from Belgium? Share it in the comments below.